Looking for active adult communities in Central Florida? Welcome to Leesburg and the many active adult communities in Central Florida, offering homes in the Orlando, Disney area. Only communities that meet these standard requirements can be considered active adult communities in Central Florida. Consider only the best, The Leesburg area! 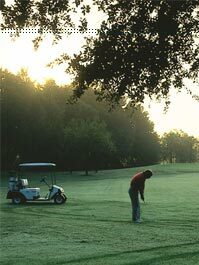 If you are searching for active adult communities in Central Florida, location is everything. Ideally situated, Lake County is in the center of Central Florida, top to bottom, coast to coast. Central Florida offers the additional advantages of rolling landscapes and inland protection from hurricanes and salt corrosion. If you want to visit Central Florida's beaches, they're little more than an hour away in either direction. With over two hundred square miles of lakes, it's easy to see how the county got its name. Spend a winter here and you'll also appreciate why it's called "The Sunshine State." This environment helps make the area one of the most luxurious active adult communities locations in Central Florida! Click here to view our inventory of homes.